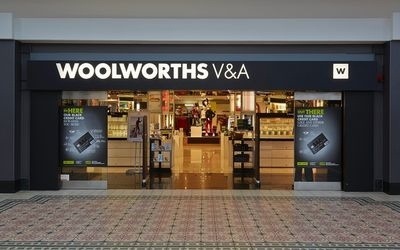 WOOLWORTHS plans to open up to 18 Country Road and Trenery stores in South Africa over the next three years. The upmarket retailer, which expects to launch Australian fashion brands Witchery and Mimco in South Africa in March, planned to open up to 47 of these stores in South Africa over the same period, it said last week. This major expansion is part of the Woolworths group’s plan to become the leading fashion retailer in the southern hemisphere. “There is a huge opportunity for this business to own (the) southern hemisphere. We want to make sure that in being big we take the gain of economies of scale,” CEO Ian Moir said last week. Country Road‚ Woolworths’ 88%-owned subsidiary, concluded the acquisition of 40-year-old fashion retailer Witchery Group from Gresham Private Equity for A$172m (R1.6bn) in October. Woolworths will try to emulate the success it has had with Country Road and Trenery in South Africa, with Witchery and Mimco. The Cape Town-based group has ramped up its clothing procurement strategy, allowing it to shorten lead times, as it focuses on a quick-response model. The arrival in South Africa of global powerhouses like Zara, Topshop and soon H&M and Forever 21 has seen other local players including Truworths, Edcon and Foschini Group increase efficiency. Woolworths can now get to the market in just five to seven weeks with more than 30% of its goods, where previously it took more than 11 months to get to market. “Our merchandise cycle is quicker than it ever was, we are faster to the market and we continue to trade in season,” Mr Moir said. Along with more competitive prices, the retailer has invested heavily in new systems and established a merchant academy to train its buyers, planners, technologists and designers. It has also identified global “centres of excellence” in China, Bangladesh, India, Madagascar and Mauritius to drive innovation and differential product, aided by better relationships with suppliers. The group wants to continue to grow its fashion credibility, stretch its brand across various categories and geography. “We can take Country Road kidswear into Woo lies stores to give a complete tiering across our offer. So we have that good, better and best offer,” Mr Moir said. Woolworth’s classic or more mature customer would not be forgotten, the group said. Looking ahead, Mr Moir said the demographic of the South African market was changing. Woolworths needed to attract younger black customers if it was going to continue being successful. About 50% of Woolworths’ sales are now generated from a black customer base. Woolworth s’ loyalty programme — WRewards — is proving instrumental as customer data allow the group to drive promotions, segment merchandise, plan the layout of its stores, and get shoppers to cross from one category to another. Posted on February 18, 2014, in #retail, #southafrica. Bookmark the permalink. Leave a comment.